Jenna: At least you're still alive. Blake: No! Not until free men can think and speak. Not until power is back with the honest man. Avon: Have you ever met an honest man? Jenna: [glances at Blake] Perhaps. Blake is being transported aboard the prison ship London to Cygnus Alpha. Along with a handful of fellow prisoners, Blake begins planning his escape. He, Jenna and fellow prisoner Kerr Avon manage to take control of the ship's main computer, release the rest of the prisoners and hold the ship's crew to ransom. The rest of the prisoners are soon re-captured and the ship's second-in-command, Sub-Commander Raiker, starts killing them one by one until Blake, Jenna and Avon give themselves up. In the midst of this, the prison ship comes across a large alien vessel that appears to be drifting. Believing it to be abandoned, Raiker suggests sending a boarding party over to the alien ship and claiming it for the Federation. Four crew members are sent over but are attacked and killed by an unseen force. Desperate to claim the ship, Raiker sends over Blake, Jenna and Avon to investigate as he considers them expendable. 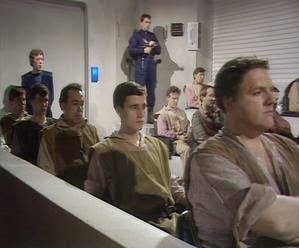 The three prisoners discover a strange security device on the ship that attempts to first mesmerise and then kill them. Blake resists the device and destroys it. With nothing left to stop them, Blake, Jenna and Avon take control of the alien ship and escape, in the process killing Raiker who tries to stop them. Blake decides to follow the prison ship to Cygnus Alpha so that he can free the rest of the prisoners. Blake: Seems to be far more sure of himself than in the last episode. His first thought after the prison ship takes off is about best to go about taking the ship over. He seems to naturally take command of the little band of prisoners, making the most of the people and resources that he has and almost succeeds in taking over the ship. 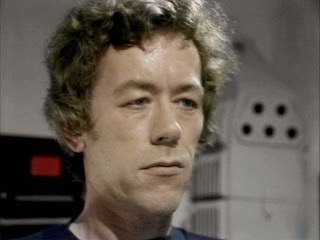 Blake's main concern is with getting back to Earth so that he can destroy the heart of the Federation and ensure that "power is back in the hand of the honest man". Later, when he, Avon and Jenna have taken control of the Liberator, Blake decides to follow the prison ship to Cygnus Alpha, free the other prisoners and then fight back against the Federation. 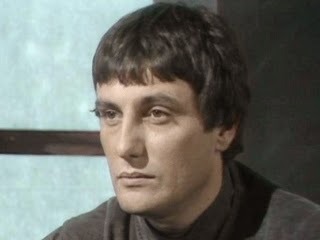 Avon (Paul Darrow): Possibly the most popular character in the series, Avon makes his first appearance here. Cynical, cold and calculating, he is the antithesis of Blake's impassioned freedom fighter. Like everyone else, Avon is a prisoner on the London. According to Vila, when it comes to computers, Avon is the number two man in all the Federated worlds. Who is number one? The guy who caught him. 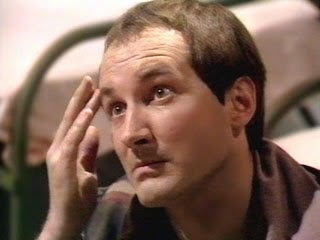 Avon would have stolen millions of credits from the Federation banking system had he not been caught. 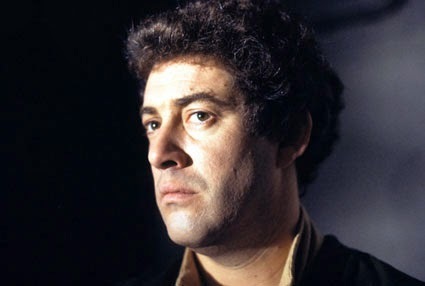 Avon's expertise makes him an important part in Blake's plan to take over the prison ship. It's Avon's job to take control of the main computer and allow the prisoners to escape. This he does and he's somewhat disappointed when all his hard works comes to nothing after the break out fails. Along with Blake and Jenna, Avon is sent over to the abandoned alien ship to see if its safe. He helps Jenna to work out how to fly the ship, allowing the three of them to escape. He doesn't seem impressed by Blake's plan to free the other prisoners. We discover that Avon has, or maybe had, a brother. Jenna: Jenna is an expert pilot, perhaps not surprising given her smuggling background. She claims that she could fly the prison ship if they can capture it. Later, Blake gives her two minutes to learn how to operate the alien ship which, by all accounts, she manages to do. She takes an instant dislike to Raiker who singles her out for some 'special attention'. As the only woman on board it's not hard to work out what he had in mind. She receives a slap from him when she whispers something in his ear that he takes exception to. Vila: Can perform basic conjuring tricks which he uses to distract the guard while Blake and the others put their plan to take over the prison ship into operation. He doesn't like confined spaces and says that there's a medical name for it (Jenna: "Cowardice?"). When the takeover is in progress, it's Vila who causes it to fail as he gets confused and drops his gun, allowing the guards to overpower the prisoners. He would have been shot by Raiker had Blake not surrendered. Gan (David Jackson): A man of few words, Gan is a powerfully built man who has strength to match his size. He backs up Vila while the latter performs his conjuring tricks and later 'persuades' a guard to open a door and let the prisoners out ("Look, we only need your hand. If you want to stay attached to it...do as your told."). He doesn't carry a gun during the breakout but this doesn't seem to hinder him as he's capable of taking two guards down at once barehanded. Mark's Remarks: The slow genesis of the series continues with another very good episode. We're introduced to two more of the Seven in Gan and Avon although at this stage it's not clear exactly who, other than Blake, is going to make up our band of heroes. 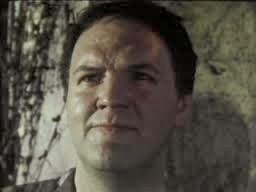 At one point young fellow prisoner Nova looks like a dead cert to join the gang but ultimately he just ends up dead. The crew of the prison ship are interesting and well rounded characters. There's the world- weary Commander Leylan, the eager young Artix and the villain of the piece, Sub-Commander Raiker who bullies everyone around him and is utterly corrupt. One cant help but cheer when he gets his comeuppance. Despite the fact that the series was made on a very tight budget, it's clear that a lot of time, effort has put into the design of the alien ship, both internally and externally. The ship is huge, clearly dwarfing the prison ship. Inside and out, the ship is aesthetically pleasing and that alone is enough to distinguish it from the sparse and functional Federation vessel. 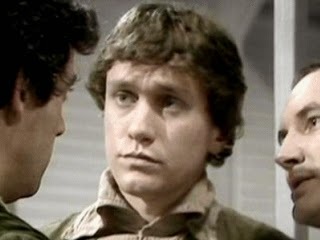 Of the regular cast, it's Paul Darrow's Avon who steals the show and gets many of the best lines. Blake also gets some good moments, particularly in his impassioned speech about destroying the Federation. On the downside, David Jackson as new recruit, Gan, is rather poorly served. He doesn't get a whole lot to do other than being Vila's wingman and threatening to pull someone's hand off. Sadly, this is something that happens quite a bit throughout the series. Vila's character also seems to undergo something of change here. In the first episode I found him to be somewhat unsettling and a little creepy. Here he becomes the bumbling fool who drops his gun in the middle of the breakout and is very lucky not to get himself shot by Raiker. These minor character issues aside, this is a very good episode and, like the first episode, not really indicative of what we would see in the rest of the series.